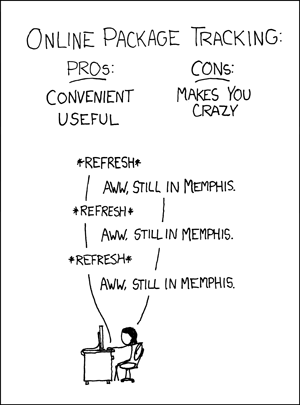 Still in Memphis? C’mon! Show us pictures of the building process, interspersed with sardonic remarks and technical review. And please, do it soon. Some of us have an addiction to satisfy. All the parts actually arrived on Monday, but I’ve been hard at work getting the damn thing to work the way I want it to. Will probably update later today, though. This website may not be idiot proof, but at least it’s dimwit resistant.